2. Place a ridged grill pan over high heat and leave it there for least 5 minutes, until it is extremely hot. Depending on the size of your pan, grill the broccoli in several batches. The florets mustn’t be cramped. Turn them around as they grill so they get char marks all over. Transfer to a heatproof bowl and continue with another batch. 3. While grilling the broccoli, place the remaining scant 5 tablespoons/70 ml oil in a small saucepan with garlic and chiles. Cook them over medium heat until the garlic just begins to turn golden brown. Be careful not to let the garlic and chile burn—remember, they will keep on cooking even when off the heat. Pour the oil, garlic, and chile over the hot broccoli and toss together well. Taste and adjust the seasoning. 4. Serve warm or at room temperature. 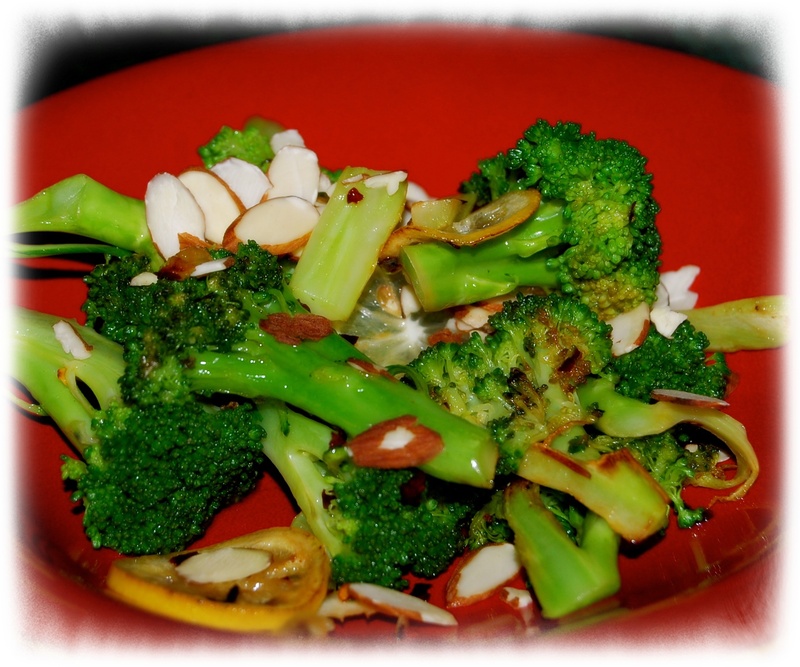 You can garnish the broccoli with almonds or lemon just before serving, if you like.